PIOB (bracelet) Pass it on bracelet. (PI)(OB)Buy a bracelet of varied colours for your wrist. It has a chip in it, when you put it on and upload the code to the App and get the App, on your mobile phone or Laptop type in your name or nickname, date of birth, country you were born in and where you are now (City), email address and or mobile number. Also if you want your interests, sports, hobbies and favourite number and colour. The chip will add data/notes to the App. With the bracelet on and active with data/notes added etc it will then count your steps. So when you are in Burger King go to the App on your phone and type in Burger King and where it is. The App will save it, add what you ate etc and if you were alone or with a person or persons, as an option add their names on to the App who you were with etc. 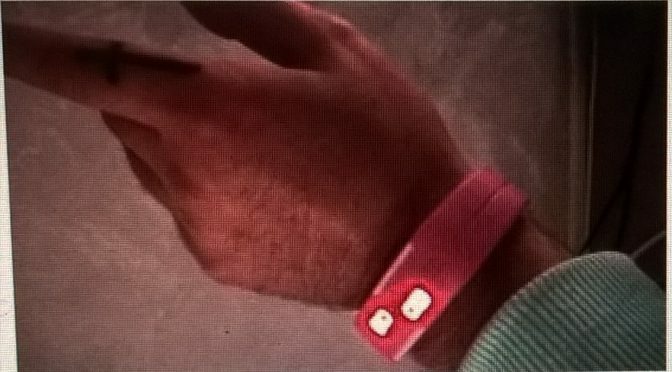 When you are ready pass on the Bracelet to a new friend then the whole process continues with he or she entering their name, nickname and email address and or mobile number etc. Then the Pass it on bracelet (PIOB) continues. May even leave the Country, cool. After a few pass on’s the new PIOB borrower will be able to open up the App and see past entries etc. If they like where you have been eating, hanging out etc or they read that you went to the movies for example they can text, phone you or email you, as per the Data/notes on the PIOB App and say they read that you go to the movies, you can ask them to go to a new release movie coming out with you? One day when the PIOB gets a ten count of users (as per the information on the APP), maybe all meet up. Chat about how you got talking to the PIOB individual before he/she passed it on to you. ONLY TWO RULES with PIOB, the terms and conditions are that you never get the PIOB for yourself again, that no photos are used or taken of a person or persons, including yourself and uploaded to the PIOB APP. The second hand rotates around your wrist, a different colour each time, NOTE this promotes the NEW PIOB. Also lights up flash colour every minute.